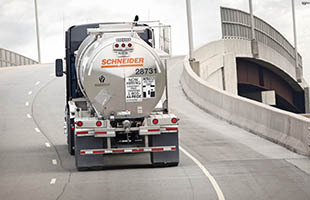 Lease with Schneider, an industry leader in liquid specialty chemical hauling. Your business will thank you. With the Tanker Choice program, enjoy the freedom to pick your own loads and run your business your way. 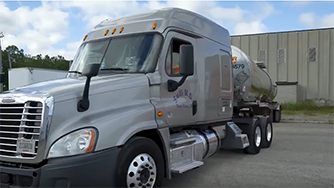 Schneider’s Van Choice program has been popular with dry van owner-operators for years, and Tanker Choice is proving just as popular since launching in late 2016. By picking your own loads, routes and revenue, you get total control of your business and bottom line. 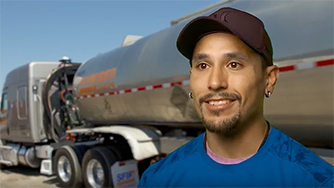 Schneider's robust Tanker freight base has grown year over year, giving smart business owner-operators even more opportunity with this elite program. You pick your loads, and you pick your schedule, so ultimately, you pick your revenue. With loads coming from an industry-leading freight base, the potential is there to rack up more than $210,000 in annual revenue. You’re in total control — no brokers or dispatchers. 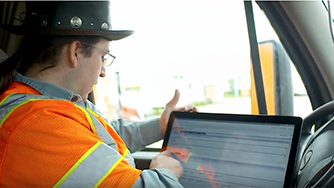 Just pick the load(s) you want with complete visibility to per-load revenue (no after-load deductions), and hit the road. Enjoy fuel discounts and weekly settlements for consistent cash flow. Watch the load board demonstration video below to see how it works. 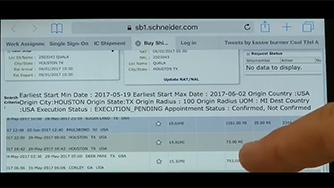 Take advantage of Schneider’s buying power and boost the bottom line of your business. Through the Schneider Purchase Power Program®, you’ll save thousands of dollars each year for each truck on fuel, tires, maintenance, insurance and more. Tractor engine ages need to be 2010 or newer. Tractor must pass DOT inspection. READY TO FIND YOUR TRACTOR AND START YOUR BUSINESS?